Your hunt for a reliable Infrared Heater Manufacturers in Delhi ends at Sunrise Products. 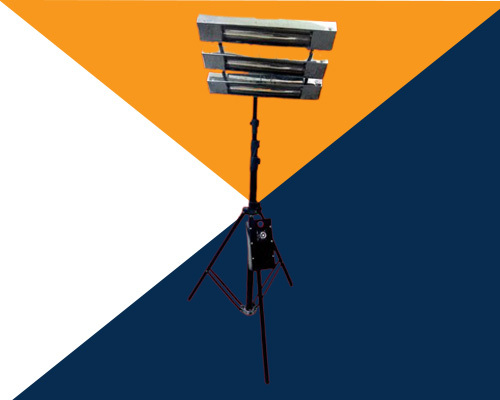 Since the foundation, we have been engaged in manufacturing, supplying and exporting an extensive range of heaters. Out of all the available types, Infrared Heater is the one that is known for instant heating and cooling and are available with or without reflectors. During the manufacturing, the device undergoes proper care, which prevents it from getting fragile. These Industrial Infrared Heaters are reliant upon the temperature of the radiant body and its wavelength range from 780 mm to 1mm. Also, a medium between the bodies is required for the purpose of exchanging energy. These are outlined and manufactured at our in-house facility with innovative technology, which makes it a practical device that devours less power and ensures more savings. These are basically free from any flaws and require low and almost zero upkeep. Being the most zealous Ceramic Infrared Heater Suppliers and Exporters, we fabricate the heaters in customized sizes, as per the special requirements of our clients. Send us your enquiry, to know further about our offerings. We are waiting here and ready to provide best possible assistance.